Sunday, June 23: A full day of birding, endeavouring to observe some of eastern Ontario’s most sought-after breeding birds. 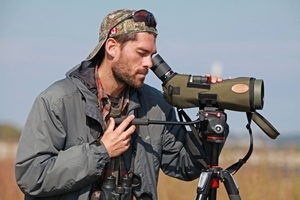 Participants will be introduced to the concept of Birding by Habitat and will be shown a variety of tremendously rich birding locales in eastern Ontario. Although we will undoubtedly enjoy all of the birds we encounter, we do have our targets for this tour! These include: Least Bittern, American Bittern, Common Gallinule, Upland Sandpiper, Black Tern, Common Nighthawk, Eastern Whip-poor-will, Red-headed Woodpecker, Red-bellied Woodpecker, Red-shouldered Hawk, Barred Owl, Yellow-billed Cuckoo, Black-billed Cuckoo, Willow Flycatcher, Loggerhead Shrike, Yellow-throated Vireo, Sedge Wren, Blue-winged Warbler, Golden-winged Warbler and Prairie Warbler. Participants with interest in plants, trees, insects, reptiles and amphibians will likely find this tour quite fulfilling. For some of the time, we will be exploring habitats where we can expect to see Ontario’s only species of lizard: the Five-lined Skink. So far, we’ve managed to see a skink (or two) each time we have birded specific sites throughout southern shield country. Reptiles of all sorts are possible today, including Eastern Ribbonsnake, Gray Ratsnake, Map Turtle, Snapping Turtle and Blanding’s Turtle. Insect lovers will likely enjoy the many fascinating insects seen during the trip, as well. We often see a nice variety of dragonflies, including a Spiketail sp. dragonfly, darners, Stream Cruiser and Calico Pennant. One trip we even observed a Mantidfly! Target Birds of Eastern Ontario tours are undoubtedly one of my personal favourites on the schedule, and I believe I’m correct in saying that my clients feel the same! Meet at the Petro-Canada gas station in Sharbot Lake (along Highway 7) at 7:30 AM.